When I woke up on Sunday I had no idea what colour would my pancakes be that morning. Then I remembered that I hadn’t had blueberries for ages, so that was decided. However, for me pancakes are not pancakes if they don’t contain some veggies. So, I thought to myself what would compliment the colour of blueberries… And of course it was beetroot! Lately I’ve been blending raw veggies into my pancake batters as opposed to already cooked purees because in the latter case I’d end up cooking my veggies twice, which is not a good thing when it comes to digestion and vitamin content. 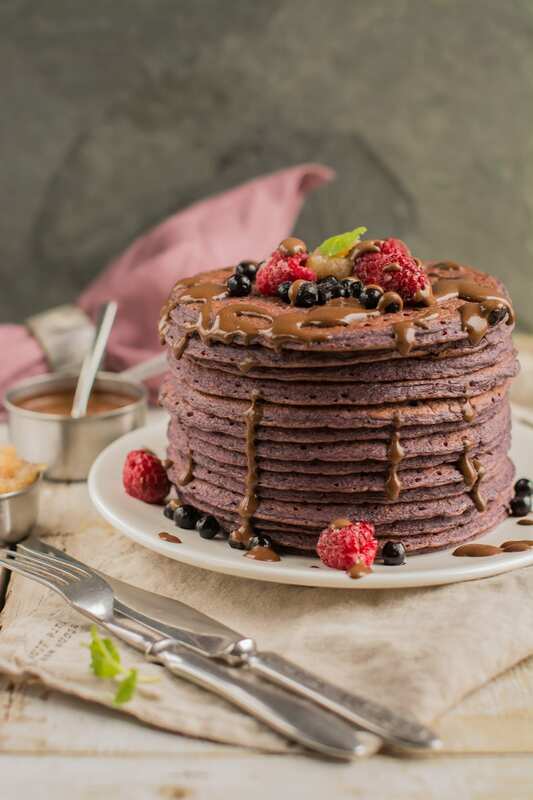 Of course it’s the best to consume blueberries raw, but they just give this beautiful colour and flavour to the pancakes and besides, you can always put plenty of raw blueberries on top of the pancakes later. My Blueberry-Beet Pancakes are vegan, plant-based, oil-free, sugar-free, gluten-free (if you tolerate avenin in oats) and also Candida diet friendly (not suitable for cleanse period though because of blueberries, applesauce and beetroot). 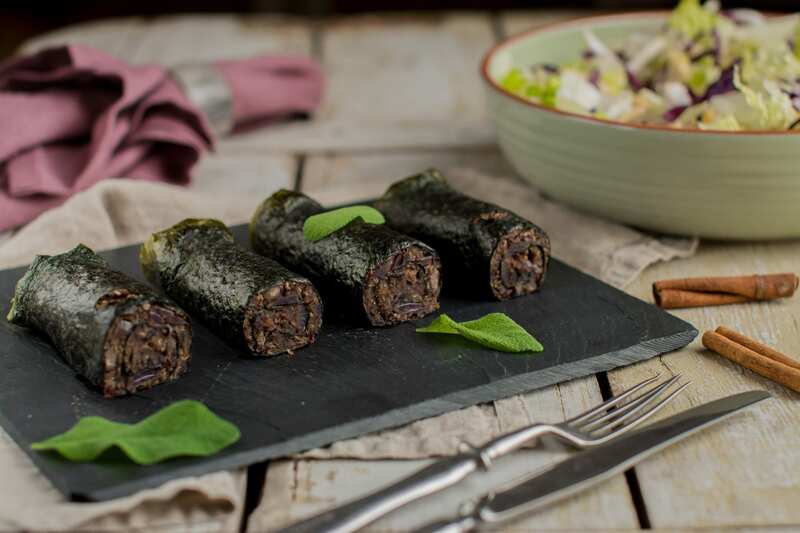 If you are on Candida cleanse try my Spirulina-Kale Pancakes or simple Oat Bran-Buckwheat Pancakes. Soak buckwheat groats overnight or at least for 6 hours. Rinse and drain. Add the rinsed groats along with other ingredients into blender and blend until smooth and homogeneous batter forms. Taste and adjust by adding more salt/sweetener if necessary. If you have time let it sit for about 10 minutes ( it’ll thicken up a bit). Take a good quality non-toxic non-stick pan. Add a few drops of oil onto the pan and swipe it off with folded kitchen paper. Let all the oil absorb into the paper and use it to swipe the pan clean between pancakes. Put a ladleful of batter onto the pan and even it out with a spoon/ladle or by shaking and/or tilting the pan to get the exact shape of your pan bottom. The frying time greatly depends on your stove. I flip it around when it is almost dry on top and also check the colour of the bottom side. Blend berries of your choice and add banana for sweetness if necessary. Blend fruits of your choice. Mango puree is my boys’ favourite. Add spices of your choice, e.g. cardamom, vanilla, cinnamon. Applesauce makes a great pancake jam, especially if you add a splash of coconut milk. 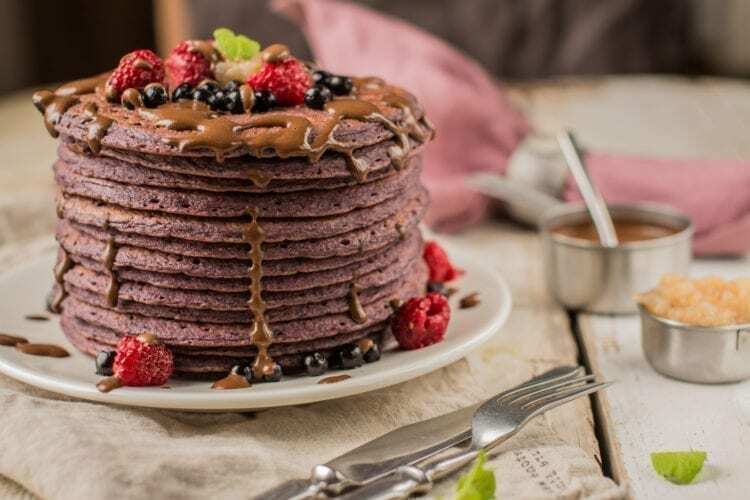 Should you prefer the pancakes sweeter, add a sweetener of choice – xylitol, stevia, juicy dates or agave syrup or use only oat or rice milk rather than the mix of milk and water. For me it was sweet enough without any extra sweeteners, but feel free to add some if necessary. Hi Nele! 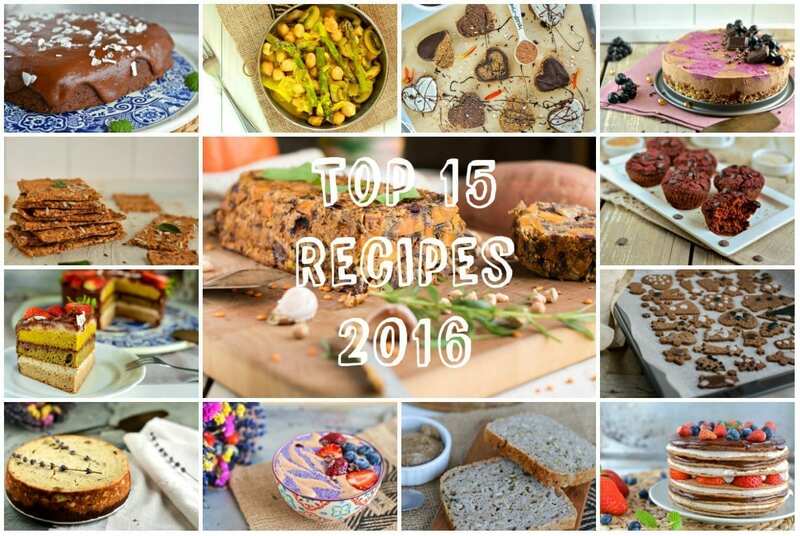 Love this recipe (and all your recipes:) ). Wondering what you think about subbing oat flour for the oat bran? You can sub oat bran with oat flour, no problem. I prefer to use oat bran because it has much lower glycemic load and therefore is more suited for myself.